They’re evocateurs of mood, ensnarers of states of being. If Appleseed Cast’s newest album Sagarmatha escalated the group to unfathomable heights (after all, Sagarmatha is Nepalese for Mount Everest), it was 2001’s Low Level Owl 1 and 2 that functioned as their base camp. 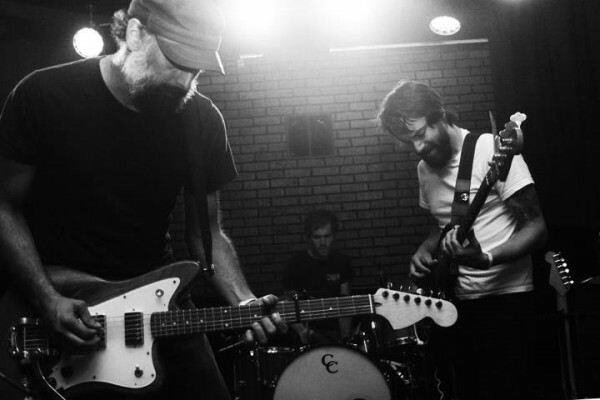 Sunday night at Westport’s Record Bar, Appleseed Cast played both volumes in their entirety. It was proof that the Lawrence-based quartet, which recently signed with the Chicago independent label Graveface Records, has an affinity for the Mid-West. To them, it is a place encircled by the seasons, where the triviality of a lukewarm day under baby blue skies can – at a moment’s notice – yield to thunderclouds bearing an Old Testament likeness. To listen to Low Level Owl 1 and 2 (fittingly released under the label Deep Elm Records) song by song with headphones is like listening to a springtime forest for an instant with ear canals clogged by cotton balls. It is a work that must be heard summatively and in person to be understood. In many ways, Appleseed Cast’s members have more in common with classical composers than rock artists. Sometimes called America’s answer to Radiohead, I believe Appleseed Cast is more akin to a German group I’ve long admired called Popol Vuh (known largely for scoring Werner Herzog’s films). They’re evocateurs of mood, ensnarers of states of being. Before beginning their set, Appleseed Cast’s guitarist Aaron Pillar wanted everyone present to be privy to the day’s notable events. Was Pillar referring to the health care proposal or the group’s performance? The answer lie in the first series of images projected onto a screen behind the musicians as they got underway. Images of sunflower-strewn fields and portraits of immigrant families, of Jack Kerouac overlooking Big Sur, of a fleeting countryside as seen from a misty car window. It wasn’t long before I was transported to an alternate time and place. I wasn’t the only one. On this night, there wasn’t much talking – only catatonic head bobbing among the hundred or so attendees. As my heartbeat attuned to the flitting and faltering of John Momberg’s drumming, I envisioned myself seated on a petrified log amidst the thickets of the wilderness, pondering nature’s symphony. And there were other times – prompted by the ache of Pillar and Christopher Crisci’s minimalist guitars – that my mind’s eye latched onto scenes of depravity (a hunter’s bullet deadening the swagger of an ornately-arrayed turkey) and monstrosity (a fleet of bulldozers pulverizing underbrush). When the band got around to “View of a Burning City,” the hypnotic final track of Low Level 1, I was nearing tears. And there was still the second volume to come. The mushrooming guitars and brain-befuddling repetitions resulted in a severance of spirit from flesh. When the music stopped and the lights cued, I had to pull my ID from my billfold to remember who I was.